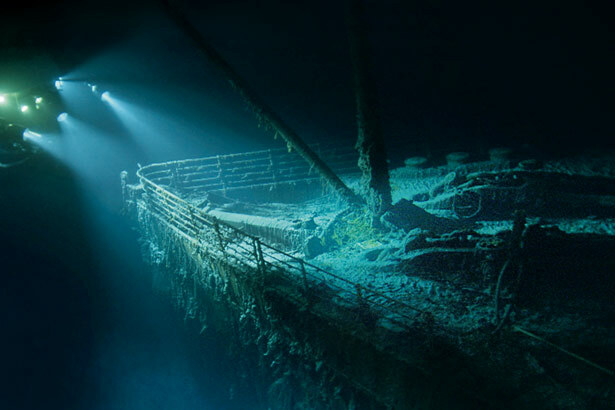 At 11:40 PM the night of April 14, 1912 the ‘unsinkable’ RMS Titanic, while on its maiden voyage from Southhampton, England to New York City, hit an iceberg causing the ship to sink on April 15th at 2:20 AM 400 miles from the coast of Newfoundland, Canada. This tragic event has long captured the attention of millions of people, reaching a pinnacle with the discovery of the ship’s remains on the bottom of the Atlantic Ocean in 1985 by Dr. Robert Ballard. One thousand five hundred lives were lost, almost two-thirds of the people on board. Number of passengers and crew on board that night – 2,223. There were 13 honeymoon couples. Food on board – 2200 lbs of coffee, 1000 loaves of bread, 16,000 lemons, 40 tons of potatoes, 1000 lbs of grapes, 36000 lbs of apples, 2500 lbs of sausages, 75000 lbs fresh meat, 40,000 eggs, 1000 bottles of wine, and 8000 cigars. First class accommodations cost $4,350 (today’s value $69,900). Lifeboats – could accommodate 64, was designed for 48, only 20 actually built. These 20 could hold 1178 people total. There were 6 ice warnings before collision. The iceberg they hit was 100 feet tall and came from Greenland. It took 160 minutes to sink. It took 15 minutes for it to reach the bottom of the ocean. There was a 60 minute delay between the collision and when the first lifeboat launched. Musicians played for 2 hours and 5 minutes as the ship sank. Two of nine dogs were rescued – a Pomeranian and a Pekinese. Milton Hershey, founder of Hershey Chocolates, cancelled his reservation at the last minute due to business matters. Only 306 bodies were found. 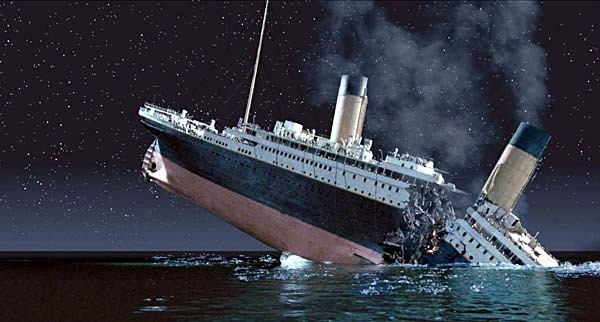 Every year in April, people take time to remember the sinking of The Titanic and the lives lost. To learn more about this tragedy, you can browse the library’s collection of materials here.